Carolina Capital offers a flexible and value-oriented mid-size investment strategy. They approach each deal from the investor’s point of view and have very conservative, disciplined, and strict underwriting criteria. The Formula: Carolina Capital acquires mid-size assets that are typically too large for individuals and are too small for institutional investors. 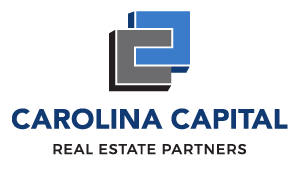 Because Carolina Capital has a vast knowledge of land acquisition and development, the firm always looks first and foremost at intrinsic value and replacement cost for each retail and office acquisition. Carolina Capital chases value first and yield second. Such discipline has paid big dividends for its investors over the past 10 years. Raw or partially improved opportunistic land and land development properties. Carolina Capital is recognized as one of the top companies in the Southeast for its expertise in delivering fully finished building lots to national homebuilders. The firm also can reposition plans to bring the right product to the market. Boutique adaptive re-use retail/office properties. Carolina Capital has a strong track record for its creative approach to purchasing existing undervalued retail, industrial and office properties in prime infill locations. The firm envisions the best possible use for these properties to overhaul or develop a project that is transformative. Small to mid-size in-line anchored retail income producing properties in prime suburban metropolitan locations. The firm repositions underperforming assets to maximize net operating income and maximize captured value at disposition.